Our long-term care facilities are located with both accessibility and convenience of location in mind. 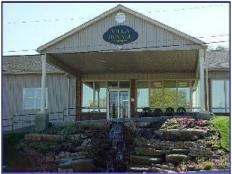 The Lancia Villa Royale is conveniently located across from the Fort Steuben Mall in Steubenville, Ohio and Lancia Belmont Manor is located in the beautiful countryside across from Fox Run Hospital in St. Clairsville, Ohio. Both facilities are located in safe as well as scenic areas. With a well recognized reputation in the local areas, Lancia facilities stand alone as premier quality nursing homes. Our locations provide comfortable surroundings that help ease the transition between home and nursing home. Visit one of our fine facilities today.